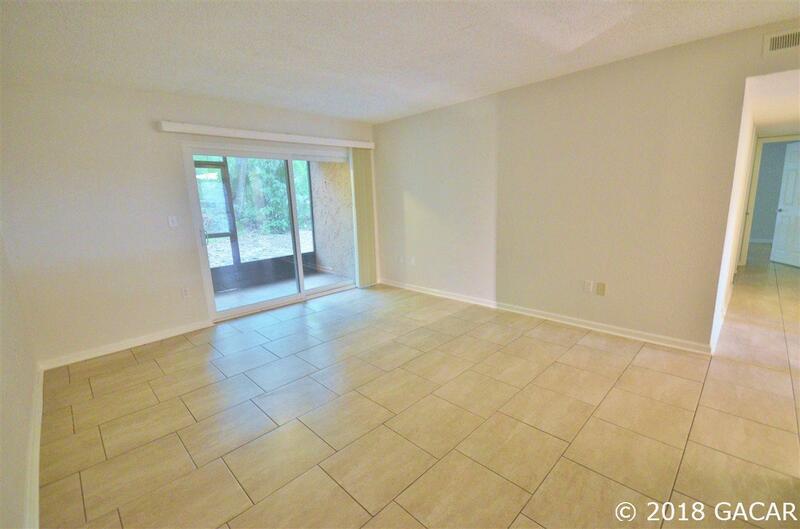 Spacious and Upgraded condo in beautiful Creeks Edge community, on direct bus line to UF/Shands and just 2 miles to UF! 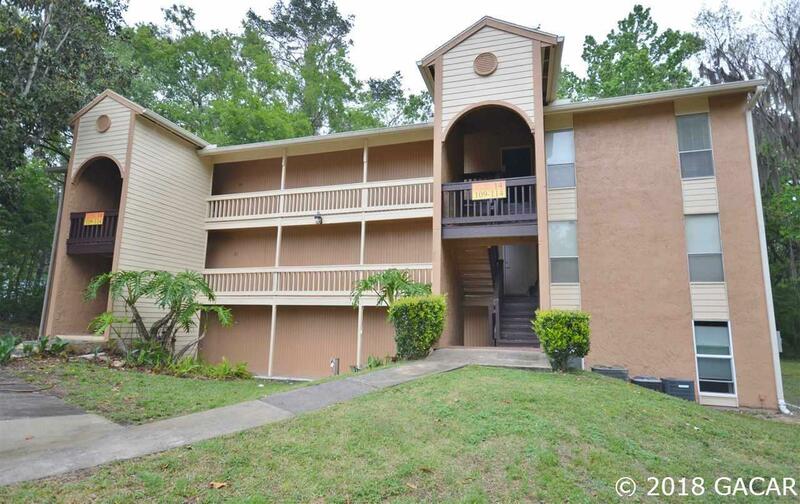 Close to Hogtown Creek, shopping centers, and walking distance to Lucky's Market! Updated kitchen and counters with wood cabinetry. Tiled floor throughout condo - NO CARPET! Two nice-sized bedrooms each with their own master bathrooms and walk-in closets. Washer/Dryer in utility closet off kitchen. Fresh new coat of paint throughout unit! Covered, screened-in porch off living room looks out to gorgeous, private green space/wooded area. 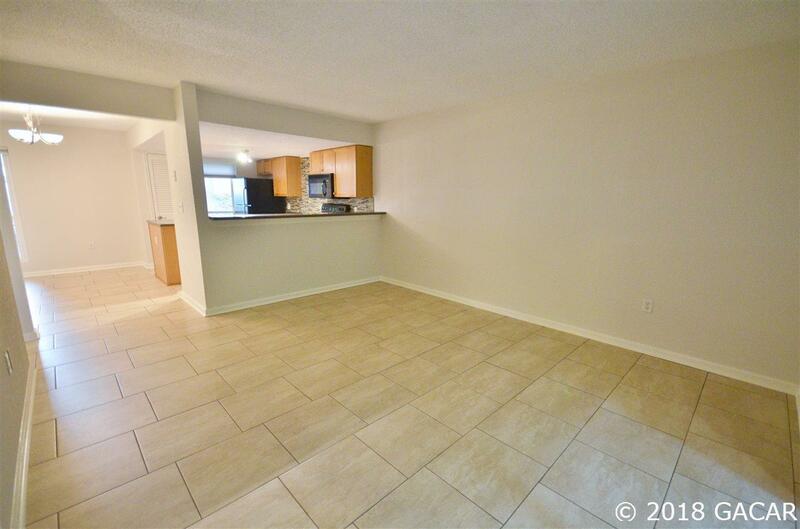 This condo has upgraded vinyl windows throughout and an upgraded patio door! Located on beautiful wooded property with a creek running through it! Amenities include large clubhouse with kitchen, 24-hr. fitness center, saunas, lighted tennis courts, and swimming pool w/ summer kitchen. 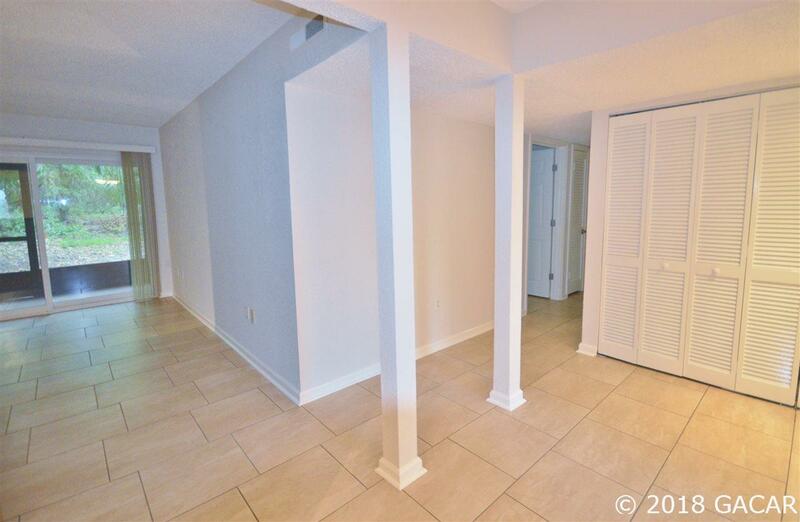 This spacious condo is MOVE-IN READY. Priced to Sell! Listing provided courtesy of University Realty.